easy to operate and dependable. 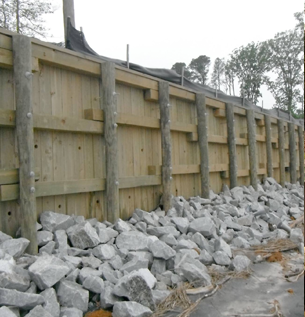 Hampton Roads’ leading provider of waterfront design solutions and construction. 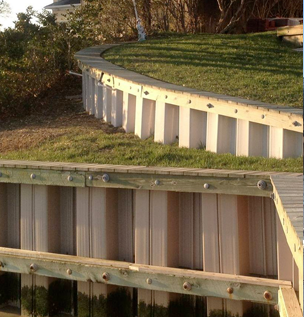 We have a passion for marine construction projects, both large and small. The secret to our success is our talented and experienced crews. Credit for being considered the best in our industry in Hampton Roads is largely due to their efforts and the entire company’s dedication to teamwork. 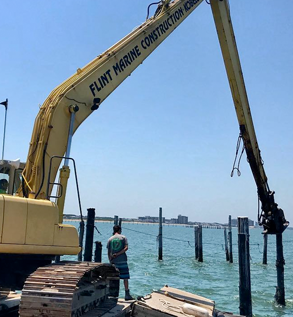 At Flint Marine Construction, we have over 20 years experience in both residential and commercial work. 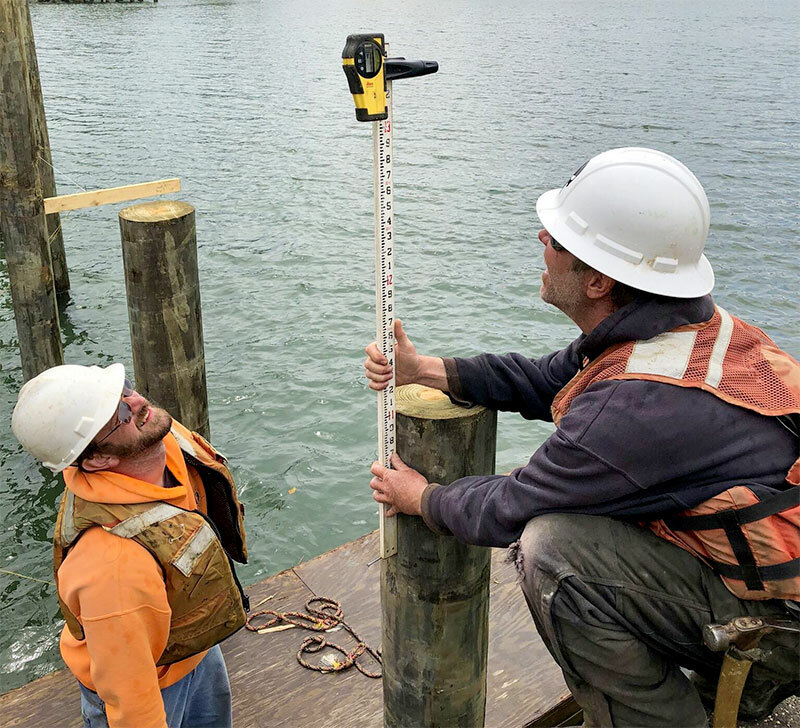 We construct high-quality docks and piers, seawalls and bulkheads. 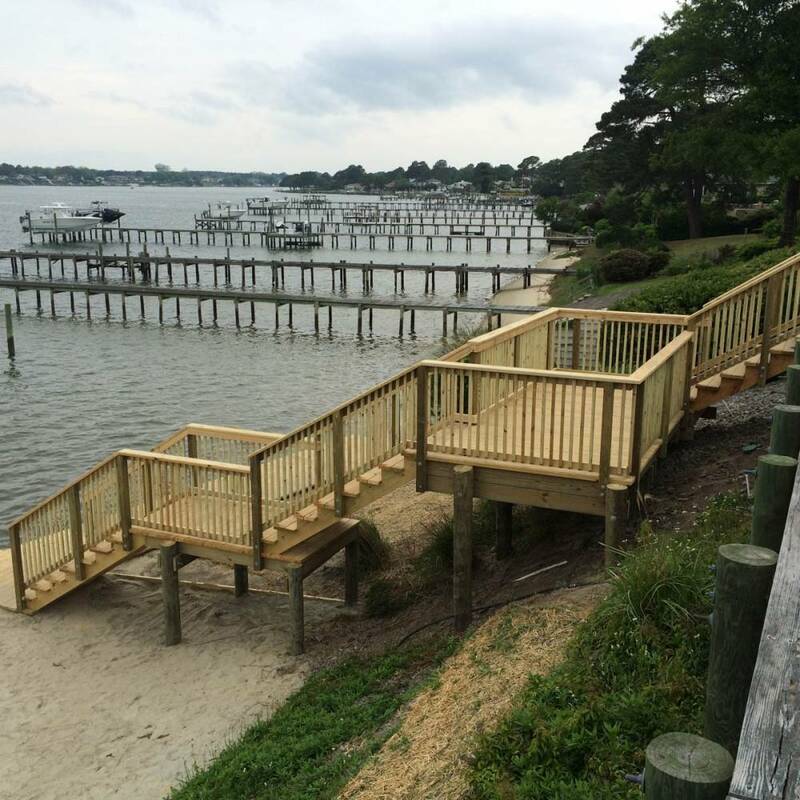 We drive piles, build long-standing retaining walls, install floating docks, and build beautiful waterfront stairwells and boathouses. 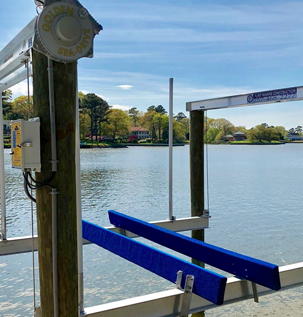 Need a boat lift? 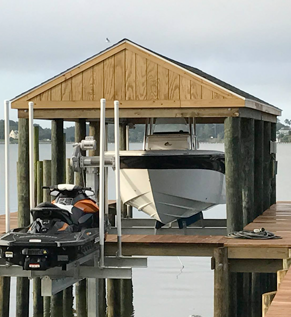 We are proud to be authorized dealers of world-class Golden Boat Lifts and Wave Armor modular docks, boat and personal watercraft ports, and accessories. We have the experience and the equipment needed for your marine property needs. We are happy to help guide you through the design, engineering approval and permitting process. 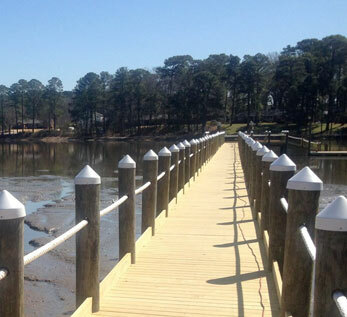 Give us a call today to get started on your waterfront project.